Content marketing is powerful because it influences behaviour. Content means providing information and answers to a need or motivation that resonates with certain audiences at that particular time and convince that the product or service on offer is the right solution to their problem. And as we all know, we don’t marry someone after having a coffee together. Putting a one hit wonder out there won’t cut it. It’s about the consistency, the continuity and the compulsion of the engagement with you and your audience that evokes emotions and get our target audience to engage with you; for one or another reason. And the same applies for Personal Branding – the only difference is that YOU – your personality and your skill set - is the service and product on offer. Whether you want to attract a future employer, investors in and co-founders for your start ups or simply considered for career opportunities like speaking gigs etc – you need to convince them that you’re the go to person when it comes to your area of expertise (you want to be known for). Achieving that is by putting value out there for others that shows what you’re all about. c) not even knowing where to start with content creation. Hence this blog is all about the ‘how to’ for content creation when you’re just starting out building your Brand and putting yourself out there. Before you even get started, make sure you know your goal (what’s the point in putting energy into something when there is no outcome or desired end-result) and your target audience (who it is actually aimed for). So let’s look at the actual content creation. 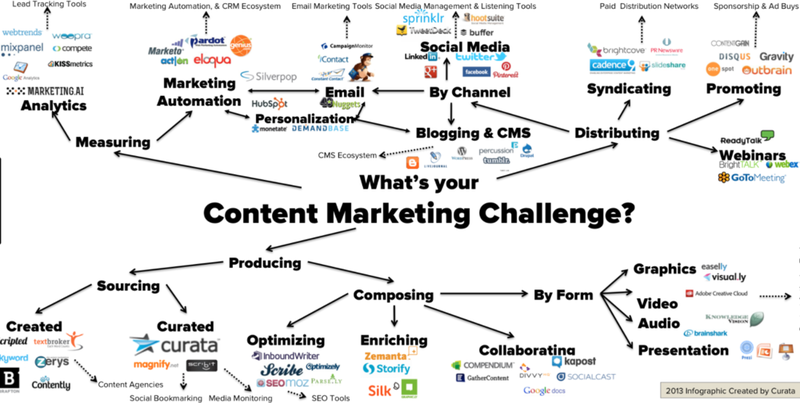 You don’t and I repeat that – DO NOT – have to create all the content yourself! Chances are you’re not a professional Content Producer and don’t have the time to create 24/7 to just build your brand (even though it might be a business or career purpose behind it) but it still is not the actual way of you making money. Create (blog, social media posts, tweets….) 20% yourself. We established earlier that content is information and influence – it gives others the power to make an informed decision – ideally through your service, product or your skill set. So what you want to achieve is engagement and that consistently. And whilst you may be the expert in an area, you can’t be the expert in all aspects of this area (and neither should you attempt to). Curated content is discovering, compiling, and sharing existing content that compliments your content and expertise. It allows you to provide extra value to your brand’s audience and customers, which is key to building those lasting relationships with loyal followers. Curating Content doesn’t only save you a heap of time but also shows that you know the industry well, know who’s hot and who’s not, it’s an act of being collegial and aware of competition. It shows that you’re collaborative and confident enough in your own brand to share another’s content. It also doubles your exposure by potentially connecting you to another brand’s audience or online community. So far so good. But how to find curated content? There are plenty of (often) free tools out there that make our lives easier. BuzzSumo which shows you the most shareable content that resonated with the largest audience. You type in any keyword or domain, and then provides an ordered list of the top shared content around that topic. A tool that I recently discovered is Keyhole – it is a freemium model, that tracks hashtag so you can find relevant content and influencers, who are using a hashtag. Views include conversations and top content as well as drill downs for influencers. Klout is another tool that shows social media ranking and provides you with relevant content based on your keyword searches and the topics that you can feed directly into it. You can also use influencer research tools like Klear, and Ninja Outreach to make it easier to find micro-influencers to engage with. An oldie but goodie is - Interview an expert and write the take outs. Similar goes for inviting guest speakers to events and share their take on things and topics. Now you know what to post, the question is – how to create it most effectively. Again, thank god for the web and so many cool free resources! It often helps if we jog our imagination and get some inspiration. Even better if that is going to resonate with our audience. One of my fav tools is Answer the Public which gives you a visual representation of the most commonly asked questions for a specific topic. You can also select the country and be very specific with your audience. Last but not least, I also like Hubspot’s generator that allows you to create 5 titles based on 1-3 nouns. And because we all love pretty images, it’s also a matter of fact to support your written content and make it pretty and easy on the eyes and that also means it is easy to digest. However, the prettiest and most sophisticated content means nothing if you don’t have share it to the right audience and platforms. Also that can takes time given platforms like Twitter want you to post 15-20 times a day to be in the know… But it can be easier to manage when you use scheduling tools like Buffer, Hootsuite, Later or Plann for Instagram. So you see, content creation doesn’t need to cost a bomb or take up all your time. d) if you are prepared to take it to the next level – it could be handling public speaking engagements, getting more clients, giving media statements etc. So make sure you have a clear idea of what you want to stand for, what your goal is, who your ideal audience is that can influence you reaching your goal and then how to engage with them for mutual benefit. If you are still not sure where to start or got stuck somewhere in between, get in touch for a free 15 minute consultation and see how we can bring your Brand to Life!